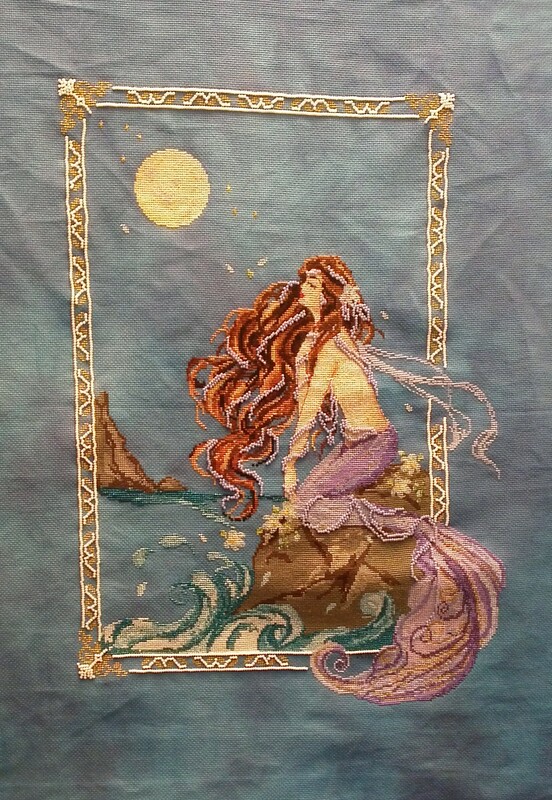 Previous Post Cross Stitching, Beading and Crocheting, Oh My! I haven’t stayed her yet! Thinking about dying some fabric myself this week. Oh I would love to see what you come up with. What beautiful work on all 3. You really have worked hard getting all of that done! I have to get with the reintroduction to crochet, as well. Can’t wait to see it all in person! Thanks, Marsha. 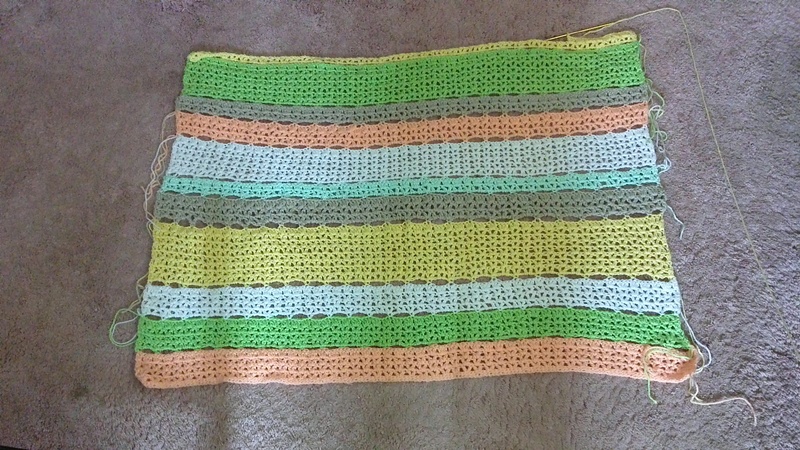 The blanket has been fun to work on. Doesn’t look the greatest, but I never did have a consistent or tight tension. That’s ok. I am enjoying working on it. 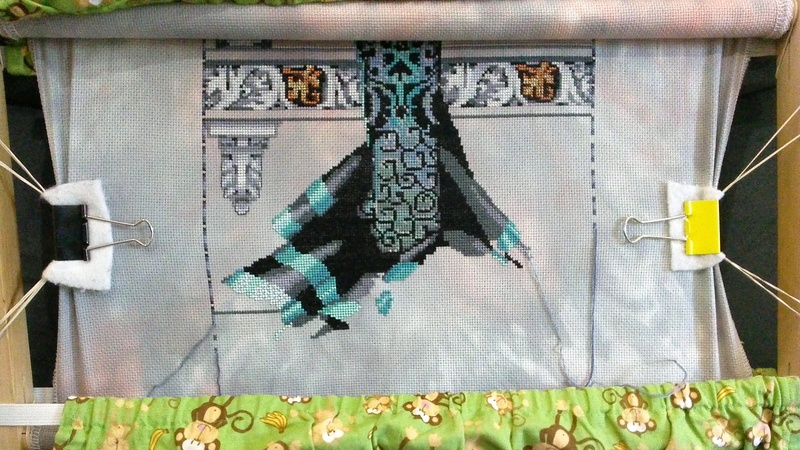 Great progress on Raven Queen. You baby blanket is pretty and cute. The colours are really cheerful. Love it! Thank you. Raven Queen is coming along wonderfully. Bottom of the dress is almost complete! I am having fun with the blanket.